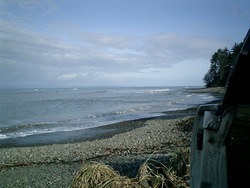 There are two point/river mouth breaks at Twin Rivers. The best swell direction is west to northwest. The left is the most surfed break off the western river, it is malibu going left. The wave is soft with easy drop-ins and can hold a big swell with rippable forgiving long walls. S-SE offshore winds are best for this break which works at low to mid tide. The right is less surfed and breaks off the east river. It is usually a little smaller than the left but has more energy, breaks faster and is very rippable. 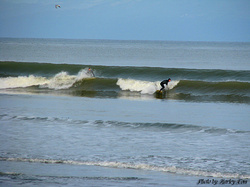 S-SW offshores are best and it also works from low-mid tide. Para Twin Rivers, Strait of Juan de Fuca, Washington, a 1 km de Twin Rivers. At Sheringham Airport, 24 km from Twin Rivers. The two graphs above are also combined in the single Twin Rivers surf consistency graph. 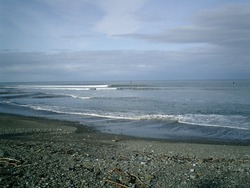 Also see Twin Rivers surf quality by season and Twin Rivers surf quality by month. Compare Twin Rivers with another surf break. The closest passenger airport to Twin Rivers is Port Angeles Cgas Airport (NOW) in USA, 40 km (25 miles) away (directly). The second nearest airport to Twin Rivers is Victoria International Airport (YYJ) in Canada, 66 km (41 miles) away. Third is Whidbey Island Nas Airport (NUW) in USA, 98 km (61 miles) away. Nanaimo Airport (YCD) in Canada is 99 km (61 miles) away. Bellingham International Airport (BLI) in USA is the fifth nearest airport to Twin Rivers and is 125 km (78 miles) away. 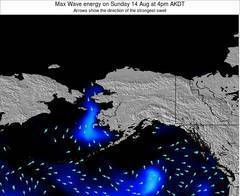 Esta es la página Surf-Forecast para Twin Rivers, Washington. Usa la barra de navegación de arriba para ver la temperatura del mar en Twin Rivers, fotografías Twin Rivers, previsiones detalladas de olas para Twin Rivers, vientos y previsión del tiempo, webcams para Twin Rivers, viento actual desde estaciones meteorológicas en Washington y predicciones de marea para Twin Rivers. Las mapas de olas para United States enseñarán un mapa grande de United States y los mares que rodean. Los mapas de olas pueden ser animadas para mostrar diferentes componentes de olas, la altura de ola, la energía de ola, el período, junto con previsiones de viento y del tiempo. Previsiones actuales del tiempo y del estado del mar provienen de boyas marinas de United States, del barcos que transitan en la zona y de estaciones meteorológicas costeras. Cada página de previsiones tiene un Busca-Olas Regional y Global para localizar las mejores condiciones para surfear en el área de Twin Rivers.